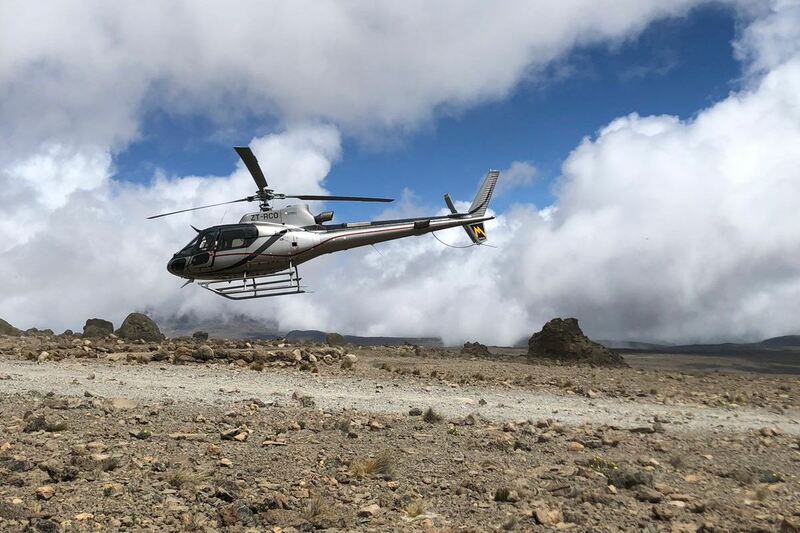 Safety and Rescue for our affordable Kilimanjaro climb. Altitude sickness is triggered by the miscarriage of the body to adjust fast enough to the decreased level of oxygen in the air as the altitude increases. It is possible that you will experience some form of minor altitude sickness on a high mountain trek. There are many and different indicators but the most common ones are headaches, dizziness, lucky of sleep, nausea and appetite loss. The mentioned symptoms can be regarded as normal for climbing Kilimanjaro. But, complications might develop on Kilimanjaro, so people who attempting to climb the mountain needs to be alert of the risks involved. Based on our experience severe altitude sickness rarely develops for climbers. Cerebral edema is caused by fluid leakage from the brain. Cerebral edema is acknowledged by severe headaches accompanied with severe loss of balance and light-headedness. Pulmonary edema is produced by fluid accumulation in the lungs. Pulmonary edema is presented by cracking noises coming from the chest of affected person and when coughing up pink mucus is present. All of these conditions lead promptly to death unless instant descent is done. Our concrete experience is that there are three main stages of reaching successful acclimatization. You will possibly still suffer some minor symptoms of altitude sickness before acclimating to function normally with reduced levels of oxygen. Drink plenty of water. Intake of fluid not less than 4 to 5 liters a day is highly recommend. This will improve blood circulation and other body functions. And you also need to drink 3 liters of water per day. Urine is the best judgement, if your urine is clear and copious, you are drinking enough. Walk slowly. It is important to give as little force as possible on the body while it is trying to adjust to a reducing oxygen supply. With an exceptional of a very steep uphill section, otherwise, your breathing rate while walking should be as if you are trekking down the street at home. Climb high sleep low. This merely means climb to a higher altitude during the day and the sleep at a lower altitude at night. This is done through a well arranged itinerary that includes an afternoon acclimatization hikes to higher levels (climbing more high past the camp) and then descent down to the camp (sleeping low). Most of our itineraries have this feature, but because of time and distance to be covered the longer 8 and 9 day climbs have more acclimatization walks.